Dr Oz: Are You Letting Your Weight Control Your Life? Dr Oz: Are You Controlled By Your Weight? Dr Oz said a lot of us just wish we could forget the number we continue to see on the scale, especially one woman named Maribel. Dr Oz said she lives and dies by the number on the scale, and it’s driving her crazy. She shared that she’s weighed herself every morning for as long as she can remember. She even goes as far as making sure she weighs herself in the same exact spot each time to make sure it’s accurate. She said the number on the scale will dictate how she feels for the rest of the day. If the numbers are up or even if they haven’t changed, she’ll just wreck her diet and munch on junk food. Sometimes she’ll even cancel her plans. When the number is down, she’s motivated to exercise and eat better for the rest of the day. She said sometimes she’ll have a cheat day where she won’t eat nearly as healthy, but then the one cheat day will become two or three cheat days, so she’ll gain back the weight she just lost. 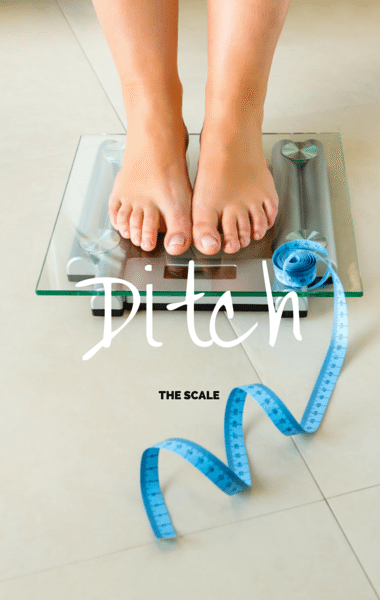 Dr Oz: Does The Scale Control Your Life? She said it’s a vicious cycle of losing and gaining, and shared that even growing up, she tied her self-worth to the number on the scale. In high school she was about 165 pounds. Then she went to college and gained 30 pounds her freshman year. By the time she graduated, she was up to 210 pounds. She’s tried a lot of different diets but her weight has always fluctuated, and even her mom has been on her about her weight and diet. She feels that it’s because her mom was overweight herself and didn’t want her daughter to get to where she was. She’s about 80 pounds overweight and can’t stand the way she looks. Dr Oz pointed out that Maribel’s magic number is 130, and wondered what it would be like for her if she actually got to it. She said she can’t imagine herself at that number because her whole life would be different. She said she wouldn’t be obsessing over the scale or what she’s eating. She said she would be able to go out and feel comfortable without being paranoid that people are looking at her. Dr Oz then wanted to take her to the Truth Tube, where he displayed her magic number. Dr Oz said if he were to have a number that would be important for her, it wouldn’t be that magic number that came from nowhere. He said it would be 165, which is the weight she was in high school. He said that should be the weight she aims for. He said the real weight she’s feeling is the emotional weight, and wanted to know what she’s going to do to get rid of that weight. Maribel said she has to change her lifestyle. Dr Oz said it’s harder to get rid of the emotional weight about her mom, the thoughts and judgments of others, and the negativity, than getting rid of the body weight. Dr Oz welcomed Ted Spiker to the show, explaining that he went through the same weight fluctuations that Maribel is going through. He found a way to free himself and Ted shared that Maribel’s story is exactly like his. He said we put so much self-worth into that number and it weighs us down if it’s not in a good place. Ted said the scale is a bully, and we have to think of the scale as no longer being in our lives. Ted said he thinks he can really help Maribel. Ted started by showing Maribel a diagram of how his weight fluctuated from 1993-2014. He said things started to change when he stopped obsessing about the numbers. Ted said that when he started to think of a different way to live his life, the scale no longer controlled him. He said numbers didn’t matter, it was the experiences that mattered.